This style is extremely good at putting a lot of information in front of you. OSM doesn’t know your intended purpose for the maps (navigation, orientation, exploration, city planning, disaster response, etc. ), so they err on the side of lots of information. 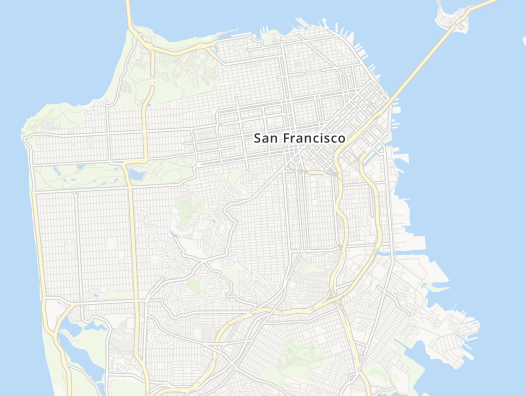 This is good, but with the introduction of TileMill, non-professional cartographers (like myself) can now easily change map styles to better suit our needs. 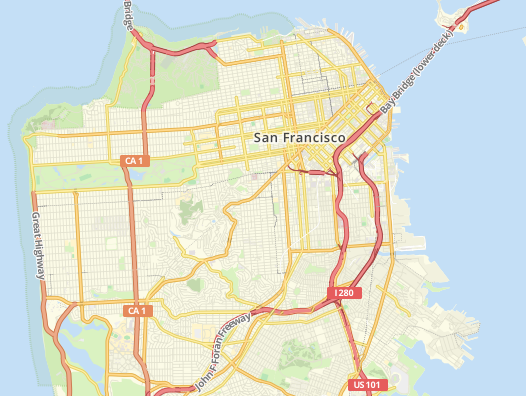 Using TileMill, we decided to take a crack at designing a map that is better suited to Flickr. We tried a lot of different color combinations on the road to this style. 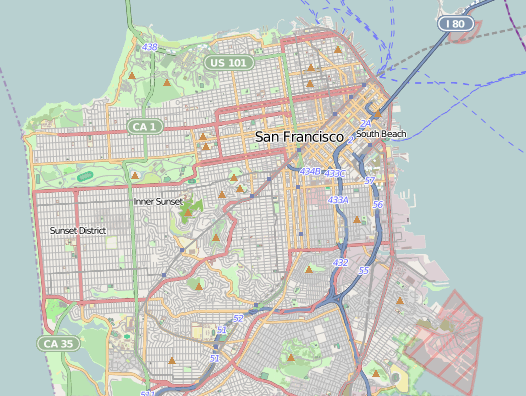 Here is an animation of the different styles we tried, starting with OSM Bright. Over the next couple of weeks, we’ll be rolling out this style to all of the places where we use OSM tiles. These maps are still a work in progress. The world is a big place, and creating a unified style that works well for every single location is challenging. If you notice problems with our new map styles, please let us know!